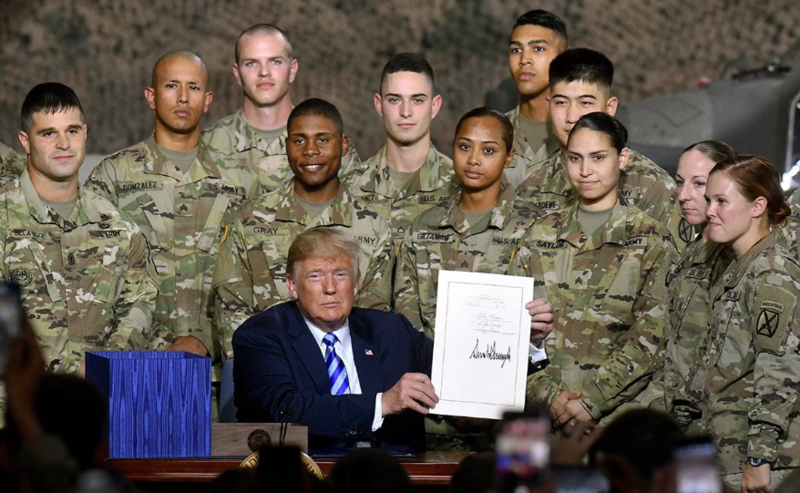 The US President Donald Trump signed the act which provides expenses on national defence in the amount of $716 billion, as the press office of the White House reports. “The NDAA helps develop a more lethal and resilient force, and grows the size of our forces by authorizing an increase of 15,600 troops across the Army, Navy, Air Force, and Marine Corps,” the message says. Moreover, the act provides allocation for Ukraine in the amount of $250 million for the defence sector. Earlier, the US State Department decided to sell Javelin anti-tank weapon launchers to Ukraine. As it was reported earlier, the Presidents of the US and France Donald Trump and Emmanuel Macron discussed trade and security issues on phone. Reportedly, the ministers of foreign affairs of the USA and Russia Mike Pompeo and Sergey Lavrov talked on the phone. They discussed new sanctions against Russia, the situation in Syria and the number of other issues. Earlier, American President Donald Trump and Russian President Vladimir Putin met in Helsinki and had been talking one-on-one for more than one hour. The meeting was criticized by mass media and politics. They called Trump ‘Putin’s poodle’ and ‘traitor’, and the meeting as a whole was a "shame." Yet in May, Trump stated on the exit from Iranian deal and resume of the sanctions against Tehran. JCPOA or Iranian Nuclear Agreement was signed between the USA, the UK, France, China, Russia, Germany, and Iran in 2015. The agreement provided the cancel of sanctions against Tehran in exchange for Iran's denial from the nuclear weapon programs.